“This is a good one,” the librarian told me. “You’ll be reading it and then something just hits you.” I took her word for it and slipped the thin book into my purse. I love simple, and Anne Lamott has done just that. She doesn’t profess to “know it all” about prayer. 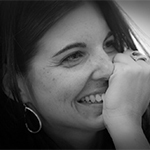 But she’s been on her own spiritual search for a while — having documented her journey in numerous books. In all her seeking, she’s learned a few things and I’m happy she’s decided to jot them down for the rest of us to ponder. In this book, she’s boiled prayer down to three one-word essentials. 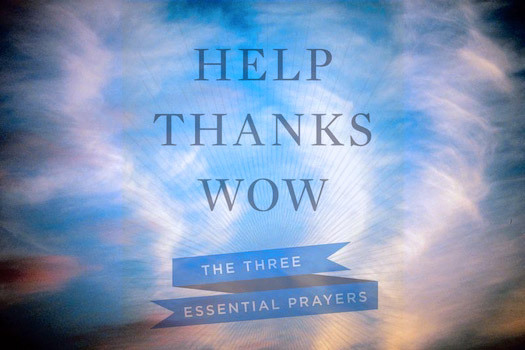 I reflected on how I use (or don’t use) the three prayers she mentions: Help, Thanks, and Wow. My “help” prayer comes in the form of a God Box — which Anne Lamott has too. It’s where I write down the things I can no longer figure out. I put them in that box deciding to let someone else handle them. Today I jotted down a request for help for a friend who has a job interview on Friday. I give thanks in my journal each morning — finding at least three things for which I am grateful. Today I wrote down my gratitude for two lunches my job provided for me this week — the timing of which were perfect as I’ve just returned from vacation and have yet to get to the market. I’m also thankful for my body waking me up without an alarm this morning, and for summer finally making its way to the mountains of Western North Carolina where I live. The irony is not lost on me that I — a writer — commit both of these prayers to paper. “Wow,” though, was a little mystifying to me. How is “wow” different from “thanks”? I recall a friend who offered to bring me a home-cooked meal the first night I moved into my new place. I was surprised at her offer (“Wow!”) and extremely appreciative (“Thanks!”) at the same time. So I’ll confess, it took a second reading of the “Wow” section to really understand the difference. “Wow,” I learned, is for those moments that take your breath away; the moments you’re so stunned you literally stop in the middle of whatever it is you are doing to simply marvel — at something good or bad. I remember when a truck rear-ended me and pushed my car into the one in front of me. I sat there frozen, shocked. I wasn’t asking for help — I couldn’t comprehend at that point what had even happened. I certainly wasn’t at the point where I could be thankful I was okay. All I could think was “Wow.” Over and over and over again. My first day on the Camino I recall looking out across the Pyrenees and stopping mid-stride, overcome by the scene that surrounded me: mountains towering in the distance, green hills dotted with cottages and long-haired sheep, cow bells ringing. Wow. I’m really here. Walking the Camino to Santiago. I recall, too, a picture of Jesus someone had woven into a wire fence along The Way. In it, Jesus didn’t look like any picture I’d seen of him before. He looked, in fact, like my sister’s friend who’d died a few years earlier. I stared, stupefied. Wow. Tears flowed. I thanked him for showing up on my journey, told him how my sister was doing, and asked for his continued guidance for both of us. “Wow” moments tend to sneak up on us. Just the other day I stood in my driveway talking to a friend and stopped mid-sentence when I saw the white petals of a flowering tree fluttering down like snow. We both watched, mouths hanging open. Sometimes the “Wow” has been there all along — we’ve just yet to stop and recognize it. Each morning I rush out my door to get in my morning run. On my return the other day, I stopped next to my babbling brook to just stare. And to listen. I continued up to my porch where the screen door creaked as I opened it. I listened as the birds welcomed me home, and I was momentarily blown away. Wow. I live here. I looked around. The sun filtered through the leaves, their shadows moving across the floor of my porch. The pollen had left a light dusting on the table. Two rocking chairs sat waiting for my next guest to join me for a glass of wine. Wow. I live here. Thank you for helping me find this place. Help me to continue to share its serenity with others. Recall your last “wow” moment. Be aware of other “wow” moments that come your way today.